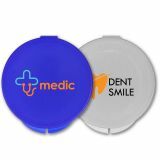 Pill Boxes and Pill Holder Keychains Make it Easier for Them to Remember Their Prescription and Your Logo! 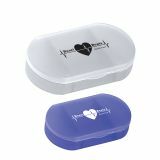 Logo promotional pill boxes are the most considerate way to promote your brand among your health conscious customers. 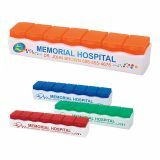 Ideal options to promote health clinics, hospitals, wellness programs and dieticians among others, custom pill boxes are some of the best-selling promotional giveaways for health care industry. 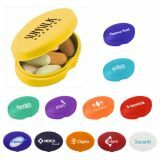 Choose from a range of personalized pill boxes gifts at ProImprint to enhance the wellness of your promotional campaigns. We offer the lowest price match guarantee, FREE set up and artwork assistance on every order, discounts on bulk purchases, rush orders, quick shipping and much more! 100% customer satisfaction guaranteed! Shop now and be healthy! 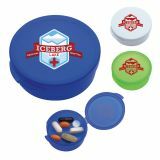 Express your care and concern for your customers by giving out these custom logo pillboxes that will make sure that they never miss their medications! 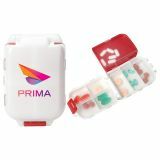 Let them keep track of their daily prescriptions without any lapses with these personalized pill boxes. 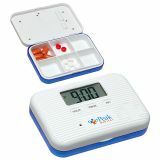 Promotional pill boxes are well suited for conventions and trade shows and people will thank you for being their personal health care expert! 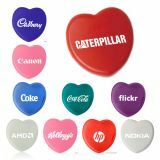 Available in a range of patterns, sizes and shapes, these custom pill boxes offer a generous imprint area for your brand, which will keep your business messages in the pink of health! 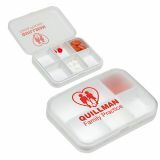 It is easy to miss out on daily prescriptions amidst all those busy schedules and these custom logo pill boxes will make sure that your patients stick to their schedules. 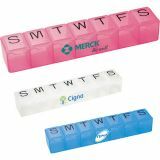 These handy pill boxes allow them to sort and store medications based on their schedule. 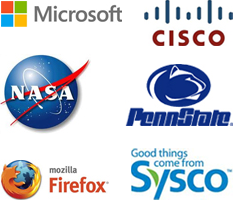 Watch your brand name become a name that they trust due to these daily reminders. 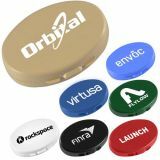 Browse our collection of promotional pill boxes at ProImprint to choose the one that suits your promotional needs and customer tastes. 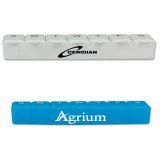 If you are looking for a trendy pill dispenser that your valued customer will never fail to carry along, check out this custom logo pill holder keychain. 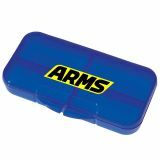 It is small enough to carry around or to travel with! Carrying one’s medication has never been easier with these custom pill holder keychains. 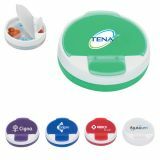 These sleek and attractively colored plastic pill dispensers that can hold 4-6 pills includes a metal key ring for easy dosage on-the-go. 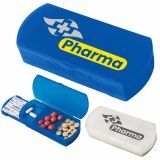 Well suited for daily commuters, this promotional pill holder keychain will help them to stick to their prescriptions easily. Elegant and handy, these keychains will keep both their essentials of keys and medications together and your customers will surely thank you for this innovative gift that has simplified their lives so much! 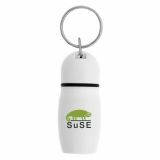 Browse our selection of custom pill holder keychains at ProImprint and pick up the one that suits your needs. If you are confused on how to choose from such a big collection, give us a call at 844-776-4677 or email us at info@proimprint.com and we can help you narrow down the choices.